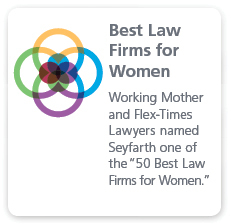 For decades, Seyfarth Shaw’s employment litigation attorneys have obtained favorable results before judges and juries in nearly every federal and state court in the United States. We defend the gamut of employment cases: single-plaintiff discrimination or common law actions and complex class actions; disparate treatment claims and disparate impact theories involving complex statistical or econometric evidence; and individual employee benefit claims and ERISA class actions on behalf of thousands. We routinely argue precedent-setting cases before federal and state appellate courts nationwide, including the U.S. Supreme Court. Age Discrimination in Employment Law (BNA 2nd ed. 2003). With offices throughout the U.S., we can staff most matters locally while offering the intellectual and technological resources of our national firm. 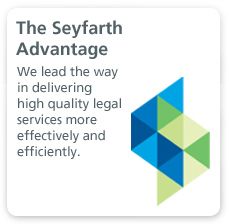 Each of our offices has a full-service employment litigation practice. This genuine national presence provides clients operating in multiple jurisdictions with seamless and consistent representation. We deliver prompt, cost-effective results through an up-front, objective assessment of the facts, the law, the likelihood of prevailing on a dispositive motion, mediation/arbitration prospects, and settlement possibilities. Many of our cases are resolved by dispositive motions, but we are also skilled trial lawyers equipped to try employment cases of every size and type. 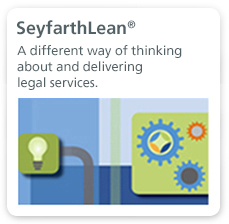 Achieving successful outcomes in complex employment and commercial litigation trials.